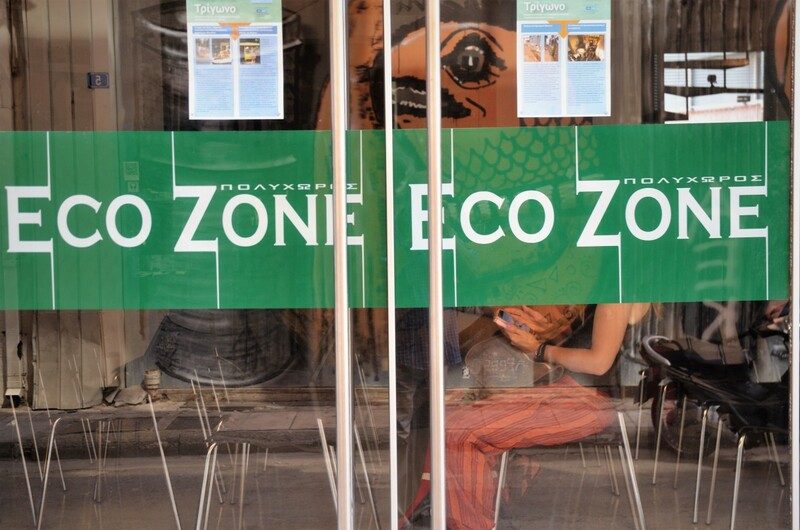 In a spirit of openness, synergy and innovation, the 4th meeting of ANO DIAZOMA entitled “Diazoma network” took place on June 10, 2018 in the Eco Zone multi-purpose hall of KERKYRA – ECONOMIA Publications. 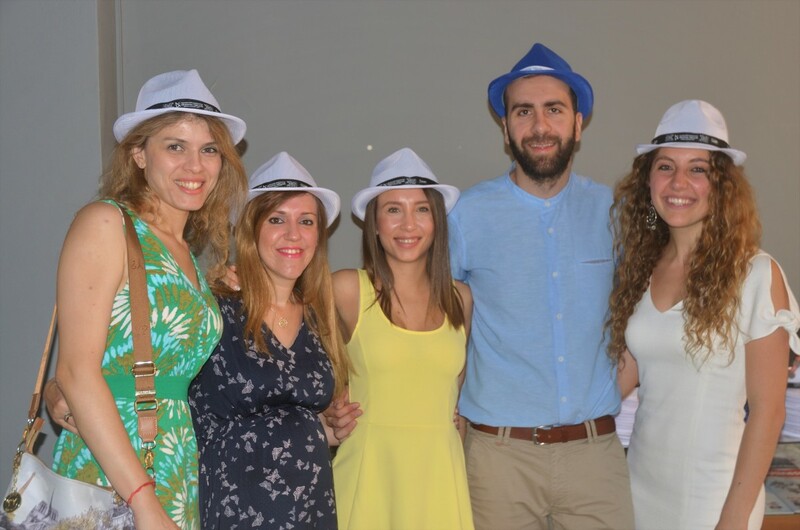 Members, volunteers and collaborators of DIAZOMA in Greece and abroad presented their new projects in collaboration with DIAZOMA. 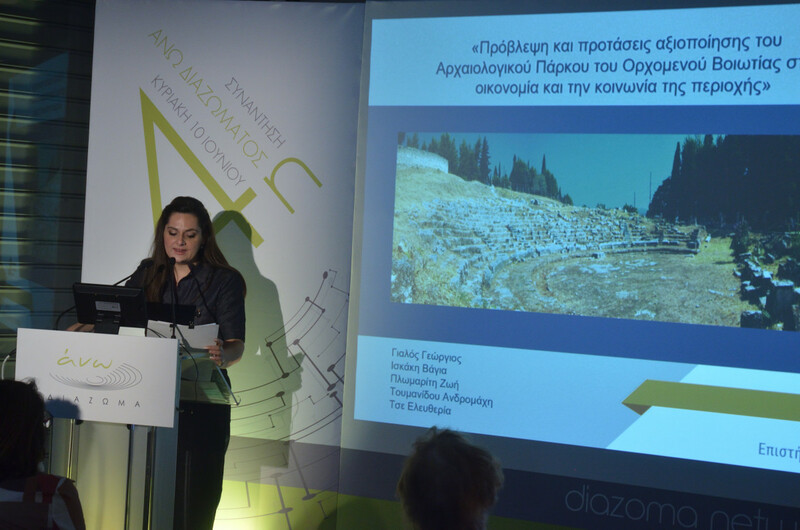 During the first part, Maria Kourasani, DIAZOMA archaeologist and Evdokimos Fregoglou, head of multimedia applications recalled the story of ANO DIAZOMA as well as the concept of the new platform which is being developed and will host the new projects undertaken within the association in the context of openness. 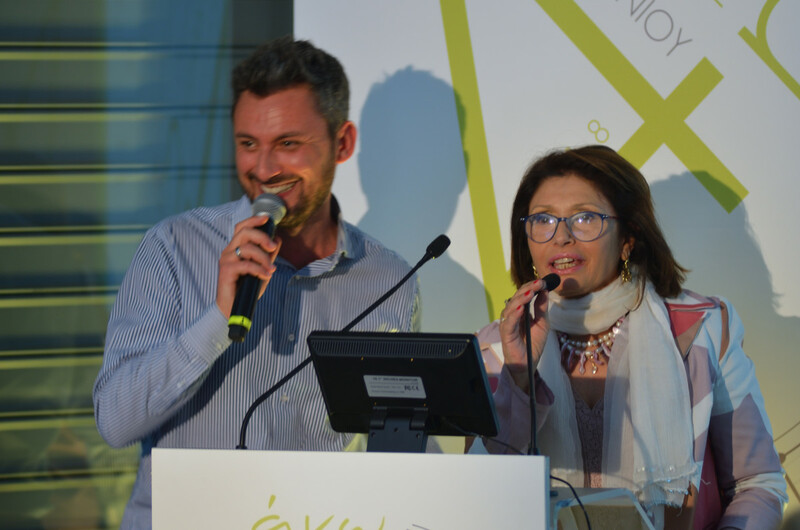 Carol Molter-Economou, a French literature teacher and a DIAZOMA volunteer, then presented the freshly launched French version of the association website and spoke about her experience as a member of the association. The first theme of the meeting was the creation of an international network of ancient theatres. 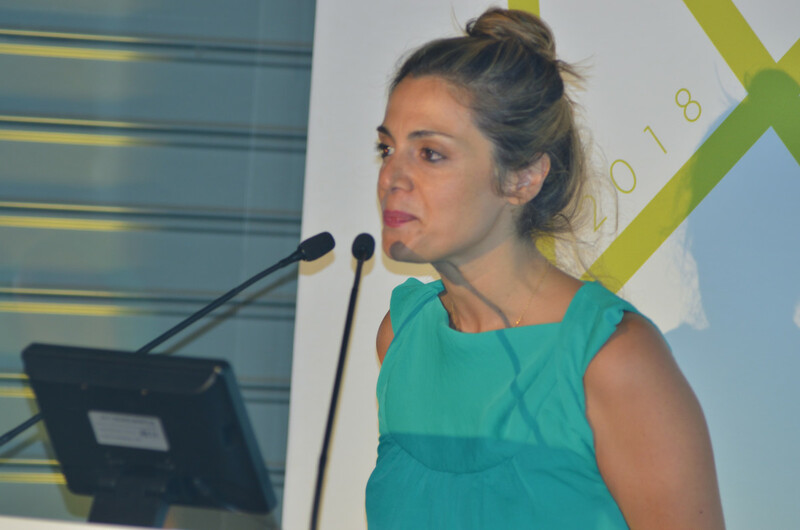 Danae Antonakou, member of DIAZOMA ad hoc group – chaired by Vassilis Lambrinoudakis, Prof. emer. 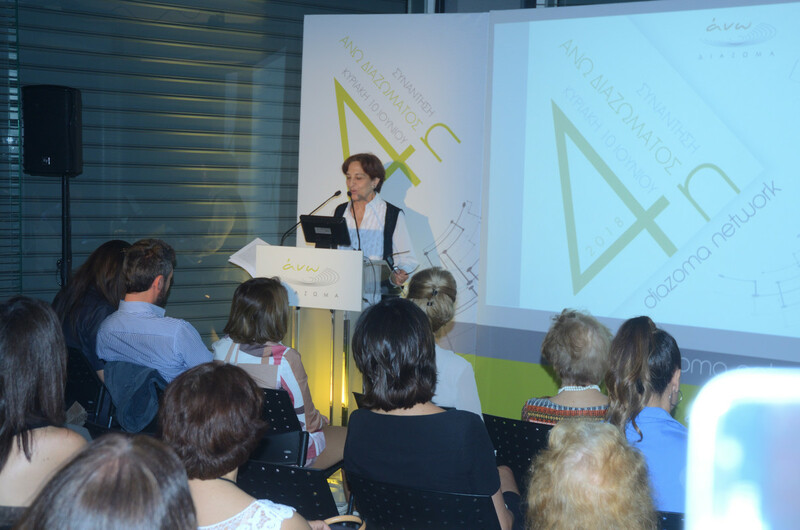 of Classical Archeology – presented the process of the association’s new collaboration with several academic institutions in Italy and Spain. The aim of this collaboration is the creation of a “model” international cooperation for the protection and enhancement of ancient theatres and other ancient edifices around the Mediterranean where theatrical, musical and other performances were once held. The identification and indexing of monuments and the preparation of a documentation for each of them constitute the first stage of this collaboration. 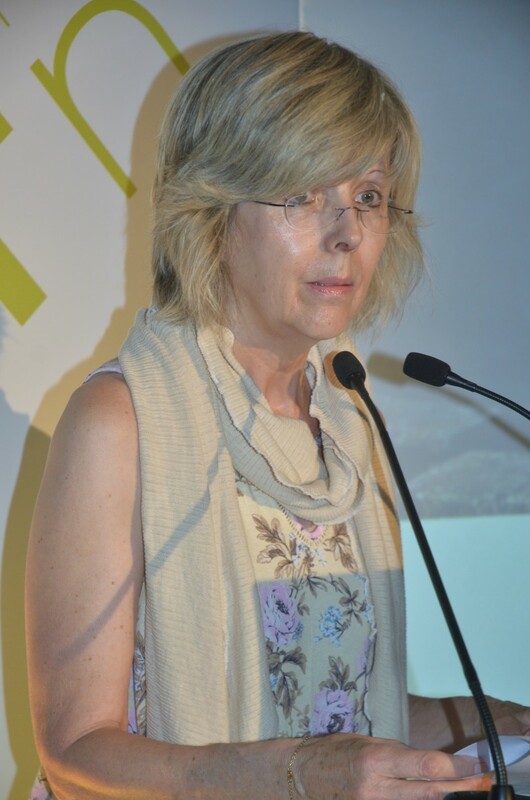 The director of the scientific journal “La Rivista di Engramma” and member of the network, Monica Centanni, addressed the audience via a video message. 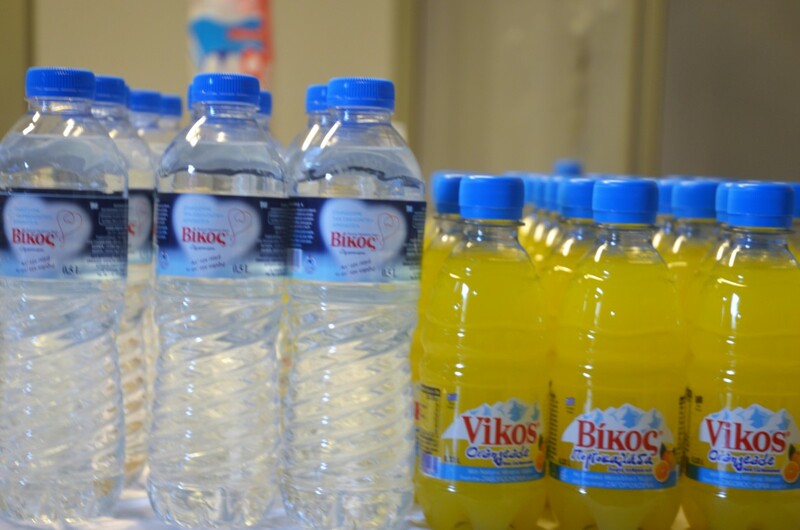 The second part of the meeting was dedicated to the presentation of the numerous and exciting educational projects carried out by various partners in collaboration with DIAZOMA. 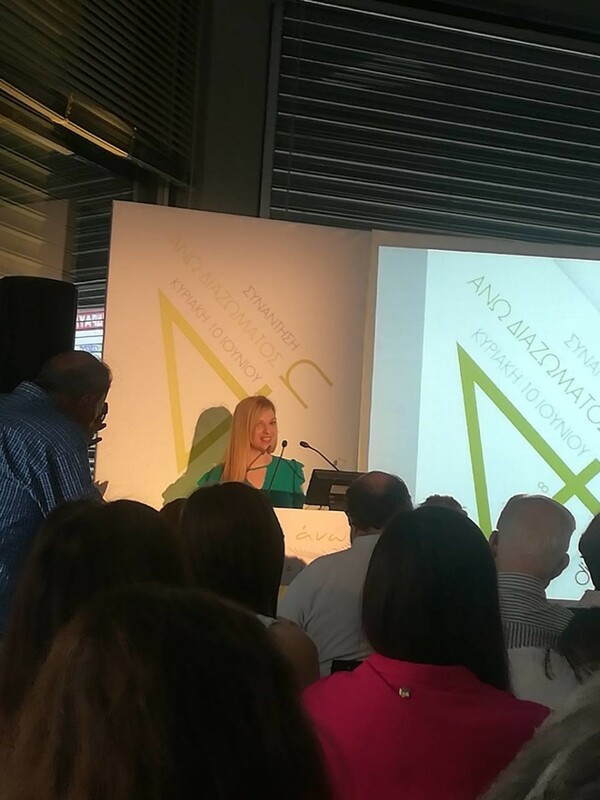 Giuseppina Russo, president of the Festival della Filosofia in Magna Grecia (Festival of Philosophy in Magna Graecia) founded in Ascea – hometown of the philosopher Parmenides – as well as her collaborators attended the meeting and presented their work and their fruitful cooperation with DIAZOMA. 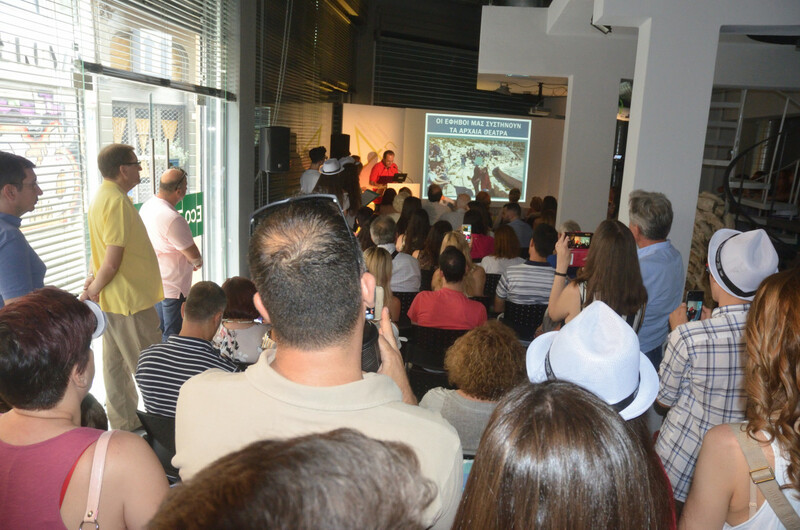 With the help of photos and videos, they commented on the visit in Greece of 1500 Italian pupils last March who participated in the “Festival of Philosophy in Ancient Greece”, co-organized by DIAZOMA and the Ephorate of antiquities of Messinia on the archaeological site of ancient Messini. The program of the Italian pupils continued with their visits to the archaeological sites of Athens, Epidaurus and Mycenae. 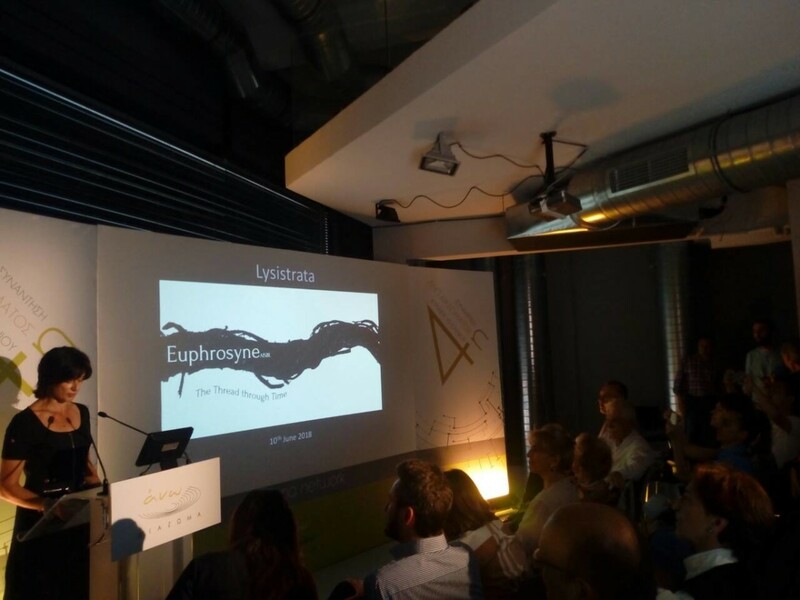 Nathalie Bries, director of the Euphrosyne AISBL in Belgium and her colleague, Stella Spadidakis, president of ARTEX, presented the project “Lysistrate – The Thread through Time” based on a multidisciplinary research aiming at the virtual representation of ancient Greek theater costumes. 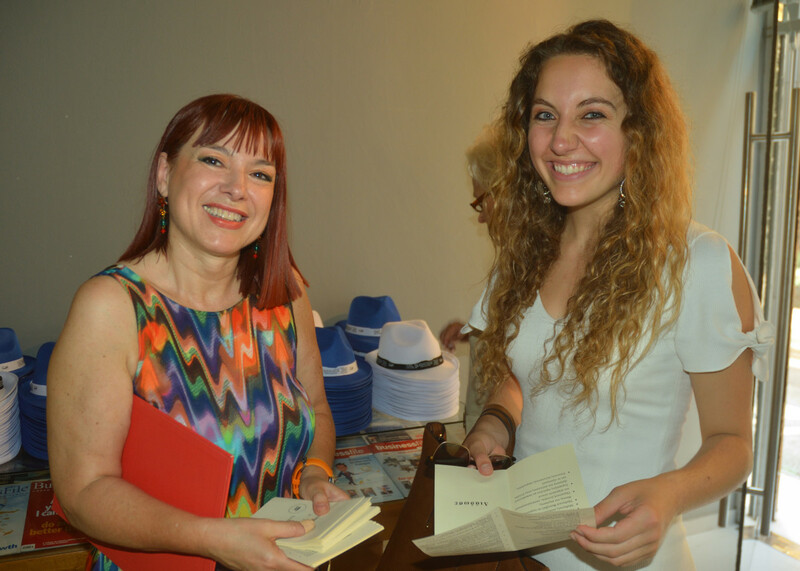 Daphne Martin, an art history student at Yale University and DIAZOMA ambassador for the ancient theater of Sparta, presented the program “The Spartans Support their Monuments”, currently being carried out in Sparta, which she designed as part of her studies. 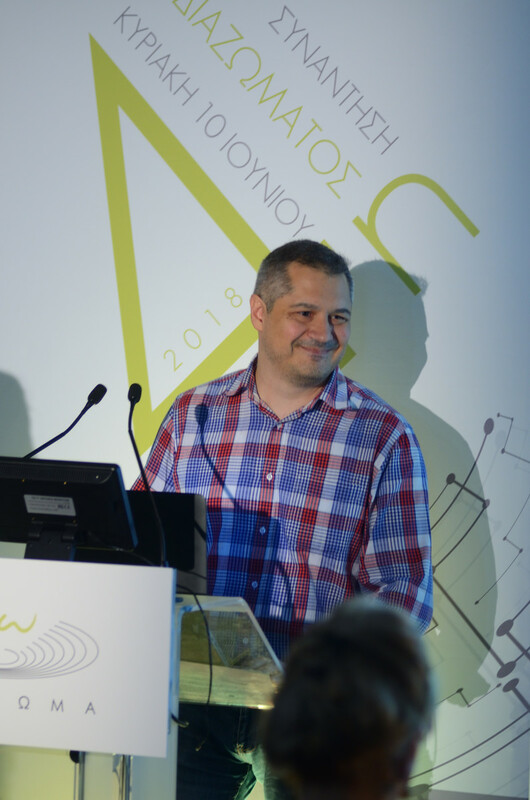 Socrate Mechteridis, head of DIAZOMA digital projects and a volunteer, presented for the first time Generation D – Programs and Educational Activities, a participatory platform he designed which was launched a few days earlier. The platform hosts the profiles of 58 schools and describes the educational projects they carried out in collaboration with DIAZOMA. 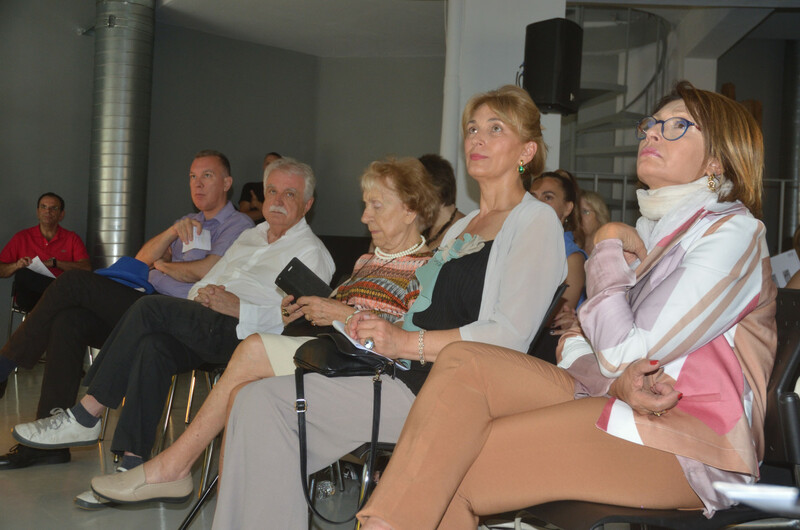 Mary Beloyianni, in charge of the educational projects of the association, explained that schools from abroad were now invited to participate in the above projects. She also informed the public of the many facets of the association actions in the field of education. 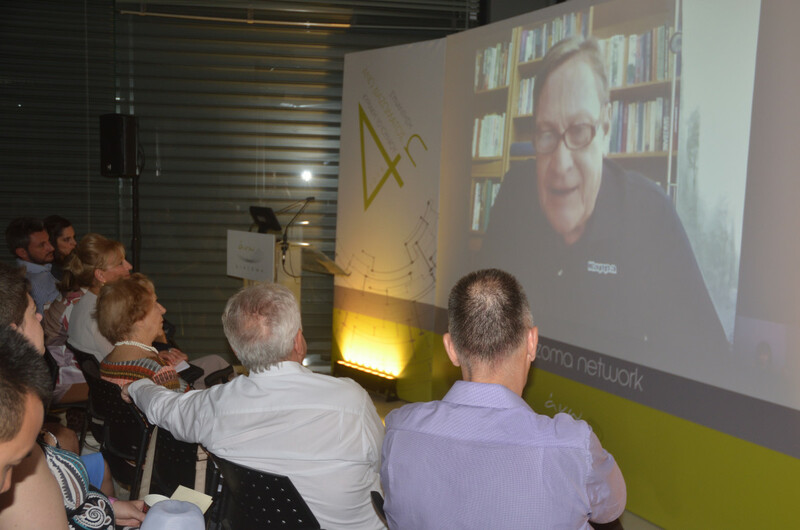 In this context, a skype connection was made with Peter Alging, a teacher at the Ektorpsringens school in Norrkoping, Sweden, who explained his decision to collaborate with DIAZOMA at the start of the new school year. 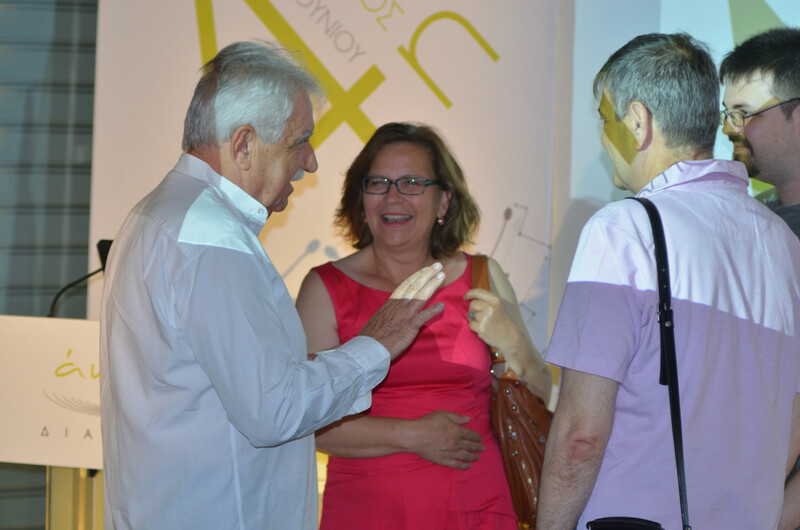 Teachers and students of Ionidios Model School of Piraeus then presented the exciting educational project they realized and offered the prototype of “Τheatropolis”, the innovative educational game they designed, to Stavros Benos, DIAZOMA president. 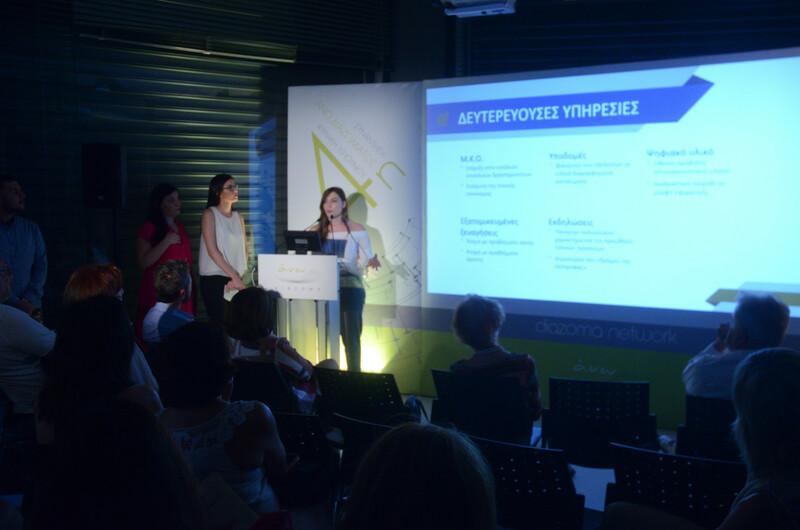 Another very interesting moment of the event was the presentation of a semester project carried out by a group of students of the Athens University of Economics and Business, within the framework of the Teachers Education program, entitled “Plan and proposals for the enhancement of Orchomenos archaeological park of Boeotia for the benefit of the economy and society of the region”. The commercial proposal they developed impressed the audience. The third part of the meeting concerned the adoption of ancient theatres. 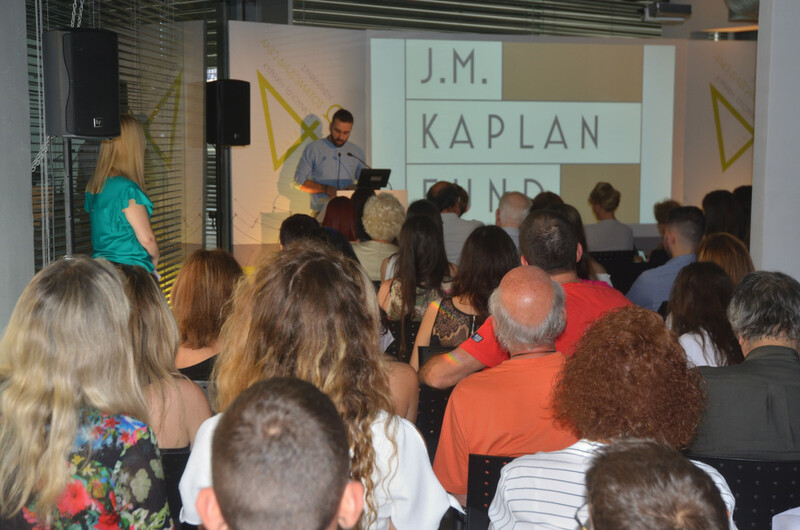 The presentation by Maria Sofikitou, DIAZOMA archaeologist, of the outstanding sponsorship by the J. M. Kaplan New York Fund of the ancient theatres of Larissa and Sparta was followed by a video message from Will Raynolds, program director. 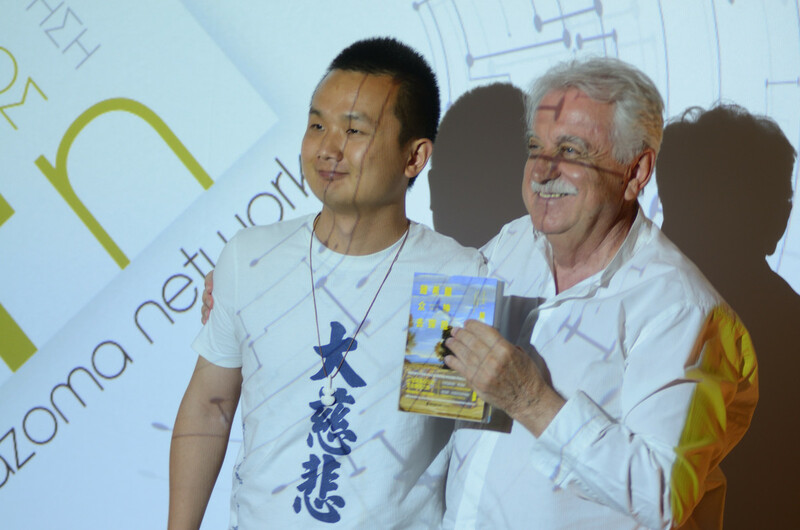 At the end of the event, Kevin Miao, Director of MeetCulture NGO expressed his admiration for the work carried out by DIAZOMA and handed over a book in Chinese about Greek civilization, written by himself, to President Stavros Benos. 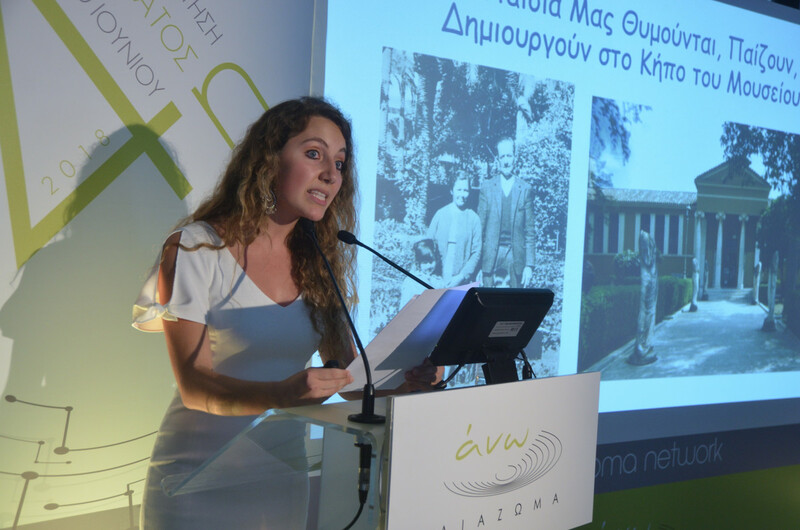 The coordination of ANO DIAZOMA 4th meeting was provided by Eleni Doudoulaki, a theatrologist and cultural heritage management consultant.